Join us for the third webcast in our Industrial Stormwater webcast series. Following up on our last webcast on the Basics of the new MDE Industrial Stormwater Permit (12-SW), once again we will be joined by Paul Hlavinka from MDE and we will be discussing how to meet the Chesapeake Bay Restoration Requirements under the new MDE Industrial Stormwater Permit. 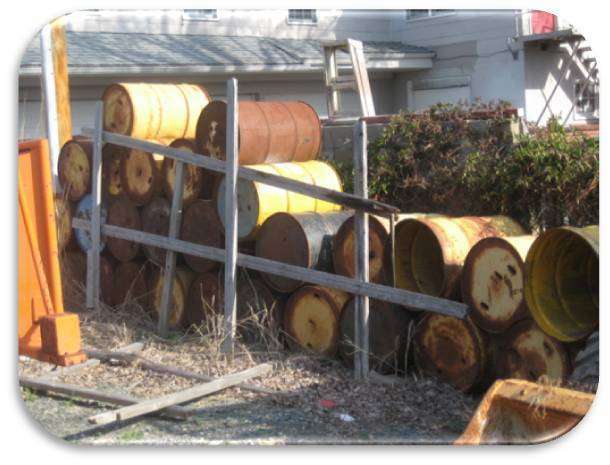 Learn how to calculate the 20% impervious cover that is subject to the restoration requirements and how to do the nutrient accounting for different restoration actions taken on your site. We will also have ample time for Q&A for those last minute permit filing questions – remember you’re required to file your NOI and SWPPP by December 31, 2014! Slides from the webcast Meeting the Chesapeake Bay Restoration Requirements for Industrial Sites in MD which aired on Tuesday, December 3. 2014 (SHORT version). These are the actual slides that were covered during the webcast. This presentation (LONG) includes the ‘hidden’ slides that were referenced during the webcast. These slides take you step by step through the nutrient reduction calculations which is more applicable for MS4s (and not so much for industrial sites). Slides from the webcast Meeting the Chesapeake Bay Restoration Requirements for Industrial Sites in MD which aired on Tuesday, December 3. 2014 (LONG version). This pdf contains the 'hidden' slides that were referenced during the webcast. These slides demonstrate how to calculate the nutrient reductions associated with the alternative BMPs. This information is more applicable to MS4s than Industrial sites.